Actual Item is as shown on photo. Motorola Series: Atrix 4G, DROID X, DROID X2. The battery is designed for a precise fit. 1 x Cell Phone Battery. 3.7V Lithium-ion battery. signal strength. Quantity: 1. • FOR PART # BH6X. - ATRIX 4G MB860, DROID X2 MB870, Milestone X MB809, DROID X MB810 (requires extended battery door cover) Extended door NOT included! Battery life not what it used to be?. Install a this new battery and breathe new life into your Motorola. Integrated microchip prevents overcharging & lengthens battery life. CE & UL Certified. Model # / Other Part #: BH5X. Motorola Droid X2 MB870. Battery Capacity: 1500mAh 3.7V. Compatible Models: Motorola Droid X MB810. Motorola Atrix 4G MB860. Battery Type: Lithium Ion. Compatible with: Droid X, Droid X2 BH5X, MB870. Battery life not what it used to be?. Install a this new battery and breathe new life into your BH5X. Extra Information. New 3600mAh FB55 SNN5958A Battery Screwdriver Tool Kit. For Motorola Droid Turbo 2 XT1585 Moto X Force XT1581. Q-3-> Why the new battery don't longer than the original battery.???. Q-4-> How much longer will battery last with this TQTHL battery ???. This OEM Motorola BH6X Extended Battery SNN5880 SNN5880A Extended OEM Lithium-Ion Cell Phone Battery (1880 mAh) is for you to keep as an extra power source for your cell phone device. - Be sure to match your battery with the correct sized battery door cover. For Motorola Droid Turbo 2 XT1585 Moto X Force XT1581. New 3600mAh FB55 SNN5958A Battery Screwdriver Tool Kit. Q-3-> Why the new battery don't longer than the original battery.???. Q-4-> How much longer will battery last with this TQTHL battery ???. 3x Vmax Ultra Clear Screen Protector Samsung Galaxy A5 A500F A500YZ A500H A500L. Features 2 Scratch Resistance. 12 months parts and labour costs for the repair of a manufacture defect or fault in production, which lead to product malfunctioning. MOTOROLA MILESTONE X MB811. REPAIR PART: Motorola Battery BH5X (BH-5X). MOTOROLA DROID X2 MB870. MOTOROLA DROID X MB810. MOTOROLA SNN5865A. 3.7 Lithium-ion battery. BUY 2 GET 1 FREE, BUY 3 GET 2 FREE, BUY 4 GET 3 FREE and so on. signal strength. (A855(Droid), A955 (Droid 2), MB200CLIQ), MB501(CLiq XT), Droid Pro, i1, CLIQ2, Milestone. REPAIR PART: Motorola Battery BH6X (BH-6X). MOTOROLA DROID X2 MB870. MOTOROLA ATRIX 4G MB860 (aka, Etna, Olympus). MOTOROLA DROID X MB810. MOTOROLA MILESTONE X MB811. Trending at $4.19eBay determines this price through a machine learned model of the product's sale prices within the last 90 days. Motorola BH6X / BH5X / SNN5865A / SNN5880A. You are responsible for any import duties. No exceptions. Composition: Lithium Ion. This OEM Motorola BH6X Extended Battery SNN5880 SNN5880A Extended OEM Lithium-Ion Cell Phone Battery (1880 mAh) is for you to keep as an extra power source for your cell phone device. - Motorola MB810. Compatible with: Motorola Droid Turbo 2 XT1585 Moto X Force. Q-3-> Why the new battery don't longer than the original battery.???. New 3600mAh High Quality Internal Battery Screwdriver Tool Kit. Motorola 1800mAh Battery BH6X for ATRIX 4G MB860 & Droid X MB810 DROID X2 MB870 . Condition is New. Shipped with USPS First Class Package. 1 Seidio Extended 1750mAh battery for the Motorola Droid X2 MB870. Seidio invests in extensive research to find the best and most powerful battery components on the market. We carefully select top quality Japanese cells for our batteries to ensure the highest level of safety, quality, and performance. LOT of 2 - Digital Energy Desktop LI-ION 900mAh 3.7V Battery Kit Motorola BP6X #230-1347. Battery is included. Droid Pro, i1. MB501 (Cliq XT). MB200 (CLIQ). For Motorola Droid Turbo 2 XT1585 Moto X Force XT1581. New 3600mAh FB55 SNN5958A Battery Screwdriver Tool Kit. Uses the latest Lithium Ion battery technology. A-2-:Yes. We uses the latest A Lithium ion battery technology and Integrated microchip. ATRIX 4G (MB860). Droid X2 (MB870). Droid X (MB810). 2X New 1500mAh BH5X Batteries for Motorola Droid X, Droid X2, Atrix 4G Motorola Droid X MB810 Motorola Droid X2 MB870 Motorola Atrix 4G MB860. 1540 mAh Battery (BH5X). Compatible With: Motorola: ATRIX 4G, DROID X MB810, MB809 Milestone X. For use with: Motorola phones. Original OEM Li-Ion Battery. Integrated microchip prevents overcharging & lengthens battery life. This PolarCell battery is the perfect power source for your mobile companion. Maximum capacity and the highest demands on cell quality and the integrated safety electronics guarantee maximum running times accompanied by maximum safety. PolarCell is a German branded product, which you can here buy cost-optimized directly from the manufacturer. Thanks to 60 days of unlimited right of return and 2 years manufacturer's warranty you buy completely risk-free. Give us a chance, test PolarCell!. 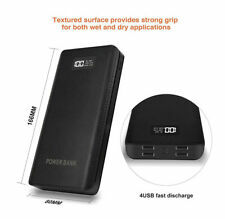 Capacity: 1150 mAh. Battery for Motorola DROID X2. models Compatibility: DROID X2. Cell Phone Batteries. Cell GEL TPU Cases. Cell Phone Skins. Original Compatibility: BH5X, BH6X. Type: Li-ion.